Not all Digital Design Agencies are the same! Snap Marketing are a strategy-lead, creative-driven digital design agency blending traditional communication tools with digital marketing skills. A cut above other digital design agencies, Snap Marketing, offer creative website design unpinned with strong strategic thinking to build websites that bring traffic and sales. We believe that creative web design paired with usability on all device platforms, and logical site navigation is crucial to offering a superb customer experience. But key to getting this right is strategic thinking from the outset before a single line of code is laid down. Offering a powerful blend of proven strategic marketing skills and resources, Snap Marketing are able to serve as a single point of contact for all of your digital marketing needs, from creative website design, search engine marketing, SEO, social media and other tactics to drive traffic to your web site. At Snap Marketing we will develop digital marketing campaigns that empower your brand and to engage with customers both in the digital domain and the real world. Right from the start. we'll be discussing with you the opportunities to integrate thinking that will help achieve good search engine rankings to embed these ideas into the website design and development process. At Snap, not only do we have the digital tools, but we know how to research the most effective keywords and phrases that people are actually searching for when they are seeking information on your product. Your website can then built to incorporate relevant content in terms of text and images, interactivity, metadata, site structure and navigation. 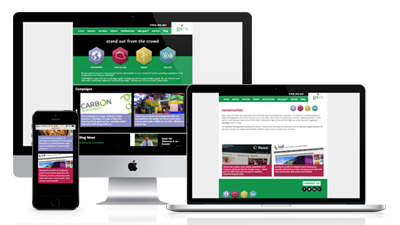 Why not check out some of the creative website designs we have created for our clients.